Although I can appreciate the intricate work of the Gothic Revival elements, I find this style very busy. The stone exterior is quite nice. But, I find the interior too dark and too ornate. I don’t like how busy the dining room (image 2) looks. I also don’t like the pointy ends of the dining table. Can you imagine seating at the end of that table for diner? Ouch! 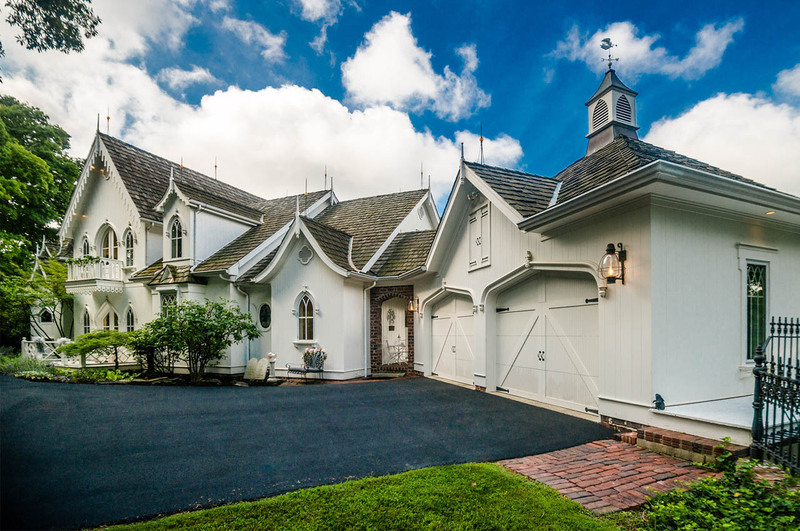 For me, the Gothic Revival style feels, in general, overwhelming. However, a modern taken on this style can result in a pleasant and interesting design as we can see in Images 3 & 4. 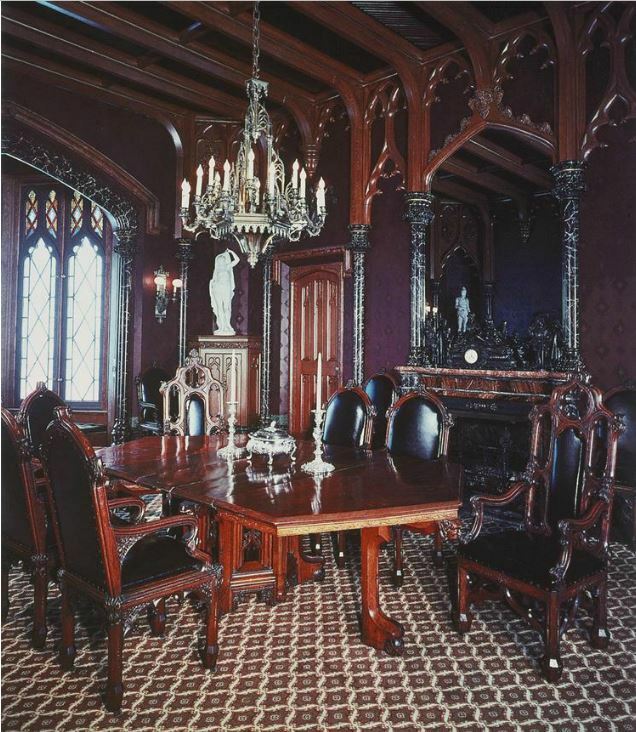 The Gothic Revival style can have its overwhelming details tamed to a more subdued look with today’s interior designers and architects interpretations. Images 3 & 4 are from Paul Buchanan. He is an American designer whose works have often a nod to past styles. Buchanan’s house (Image 3) has some Gothic Revival elements, such as pointed arches, quaterfoil, spires, and traceries. However it was built to suit the modern living with electrical light fixtures and garage. 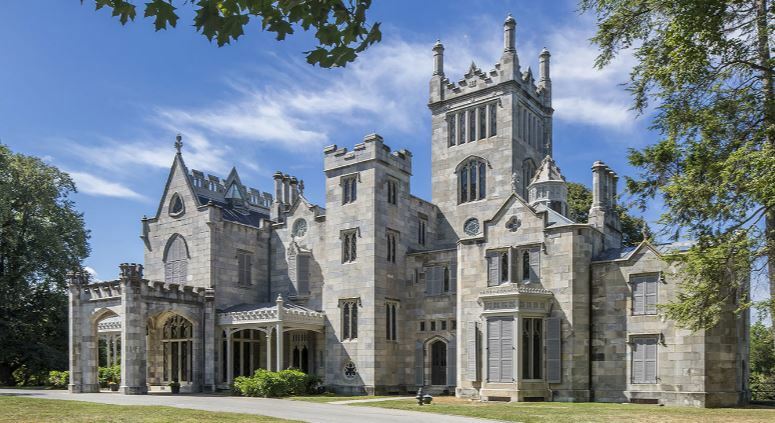 Furthermore, Buchanan took a modern approach to the Gothic Revival style. The facade is white and simpler than the typical Gothic Revival exteriors. The bedroom (Image 4) also makes references to the Gothic Revival style with pointed arches, stained glass, and traceries. But, it has plain walls and ceiling, and everything basically done in white colour. This makes the room look modern and fresh. Although I don’t usually like rooms done entirely in white, I find it nicely balances the Gothic Revival details and the knotty pine floors. I can see myself having a restful night in this bedroom. 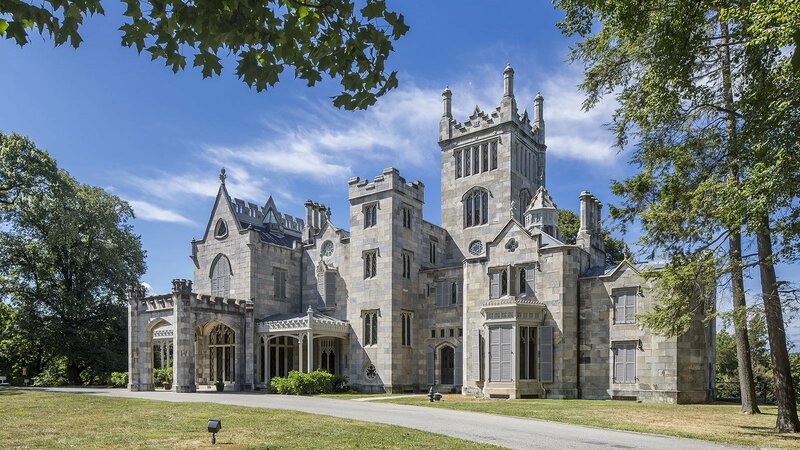 Buchanan brings interest into the design by using elements of the Gothic Revival but in controlled and pleasant manner. He makes me appreciate this style in a new modern perspective.